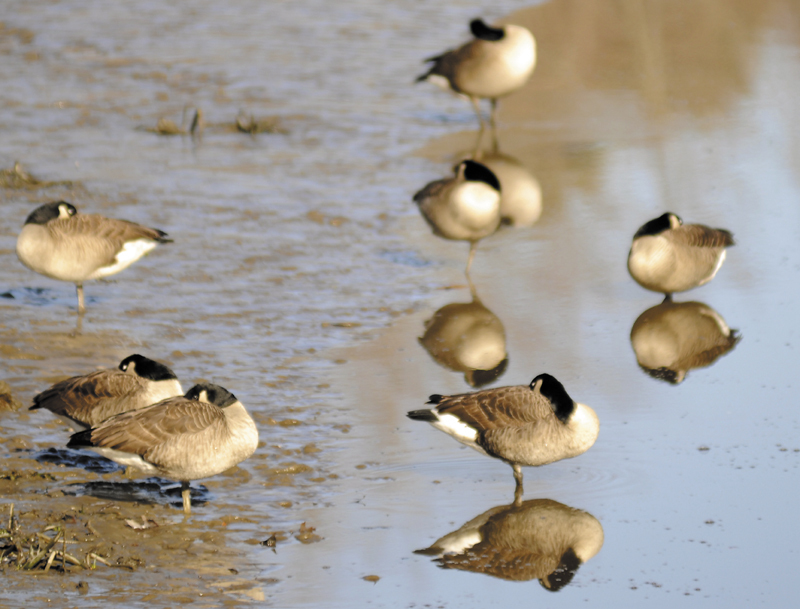 Canada geese sleep Monday on the Kennebec River in Hallowell. Despite scarce food resources and cold weather, some geese winter in the more frigid climates of the species' territory before migrating north in the spring. Canada geese sleep Monday on the Kennebec River in Hallowell. Despite scarce food resources and cold weather, some geese winter in the more frigid climates of the species’ territory before migrating north in the spring.